The holidays are here and that means lots of parties and get-togethers with family, friends and co-workers. Also, that means shopping, kids off school, decorating and all the hustle and bustle of the season. 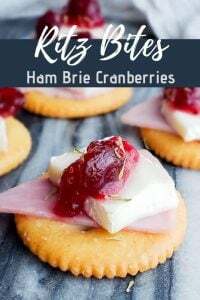 These Ritz Bites with Ham, Brie and Cranberries are the perfect fast and simple appetizer recipe for any party this holiday season and beyond. 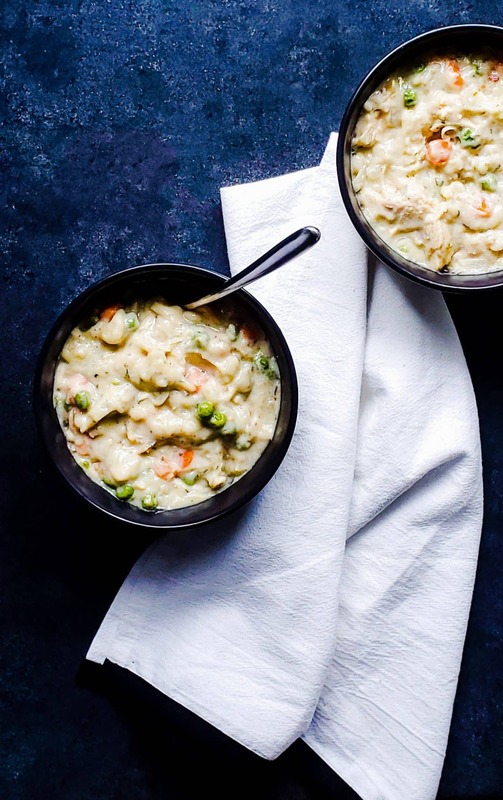 No cooking required, ready in about 10 minutes and kid and adult friendly?! Yeah, they are that great. 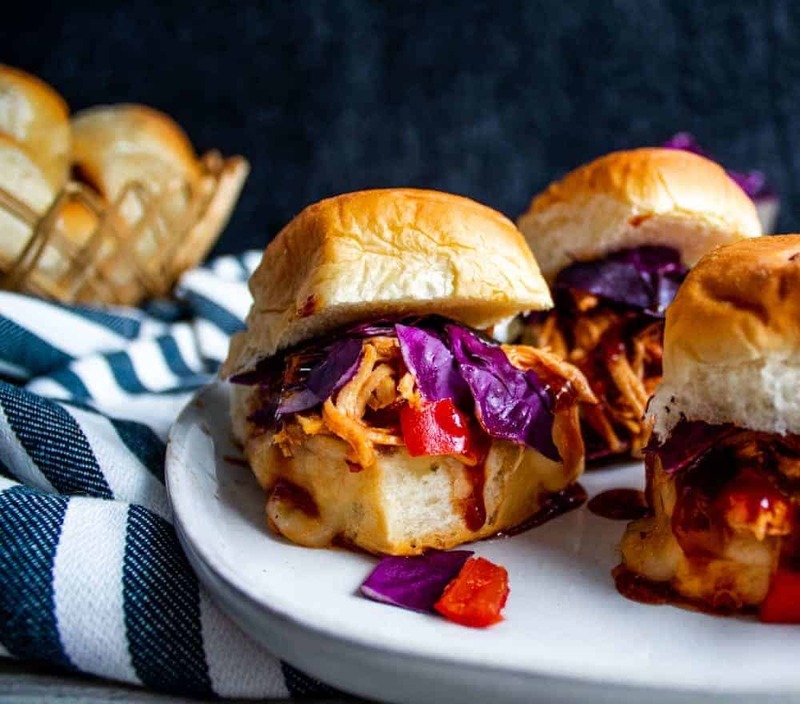 Although these are super simple they do not lack flavor and look pretty cute on a plate to boot! What Do You Need To Make Ritz Bites? Not a lot! 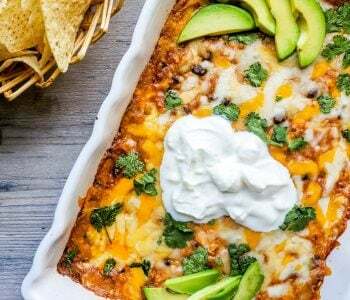 These babies are the perfect lazy party appetizer. They require zero cooking and as long as you can stack then you will be golden. 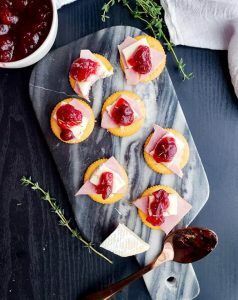 These Ritz Bites also require few ingredients and they are all store-bought to save on time and effort without sacrificing taste. 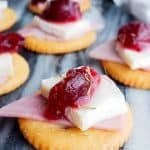 How Do You Make Ritz Bites? 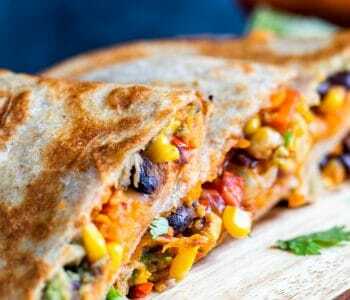 As I stated above, all you have to do is cut and stack for this recipe. It is super simple and takes very little time. Depending on how many you make it could only take you 5 minutes. Also, if you are feeling really lazy you can let your guests do the stacking. 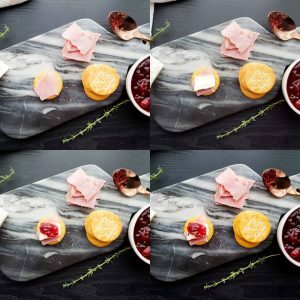 You can simply lay out the crackers, cheese, ham, and cranberry sauce with a spoon and let each person serve themselves. 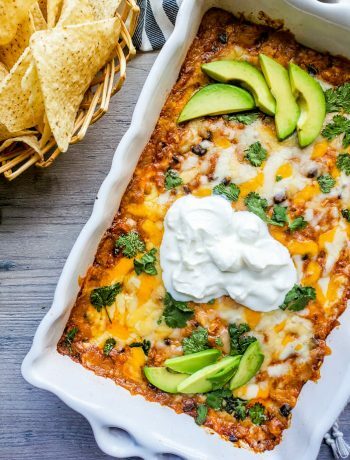 This is great for large parties and lets everyone customize the bites to their liking. Personally, I love grab and go snacks for parties, because it allows you to get out of the kitchen and really enjoy yourself. First, you will need to slice all of your ingredients. I used deli ham and sliced each slice into 8 pieces. If you have leftover ham then you can also use that. You want the ham slices to be about and inch or two big. Next you will need to slice your brie. I left the rind on mine, but if you want it off then place it in the freezer 30 minutes prior to preparation. You will be able to easily remove the rind with a sharp knife then. I sliced my brie in about 1/2 inch pieces, but you can make them bigger if you like. Finally, you will assemble the bites. Here comes the stacking. You will first place the ham on the cracker. Next, you will place the brie on top of the ham. 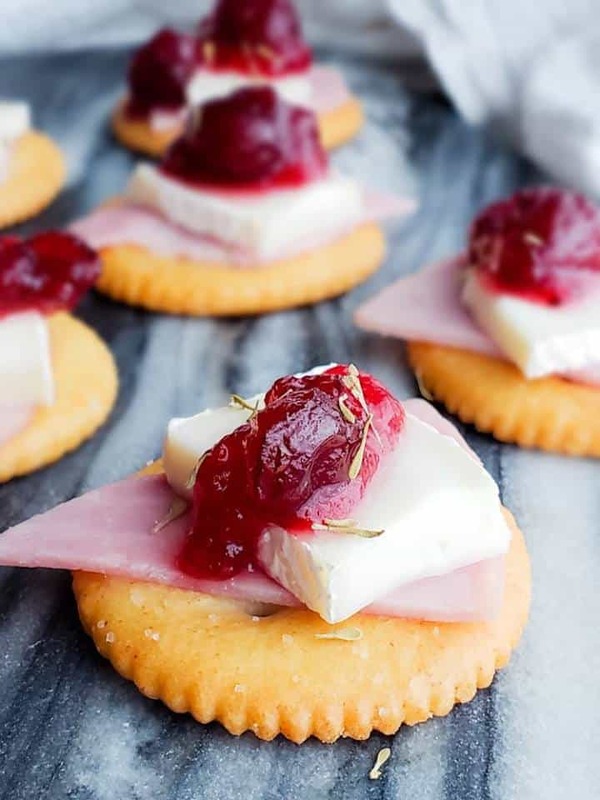 Then you will take a small scoop of cranberry sauce and place it on top of the brie. Not too much because you do not want it running off and making a mess. Lastly, you will top with a tiny sprinkle of fresh thyme if desired. And you are done! Repeat until you have the desired number of Ritz Bites. I did the recipe for 48, but you can easily make more or less depending on your party size. Tip: If using the thyme you only need a tiny amount. About 3 blades per bite. The thyme can quickly become overpowering so do not dump it on. 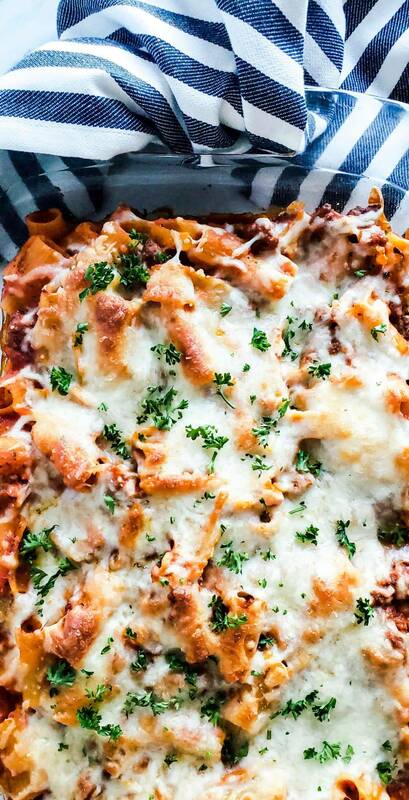 Short and sweet with this recipe today. Personally, I think it is very self-explanatory and so simple. 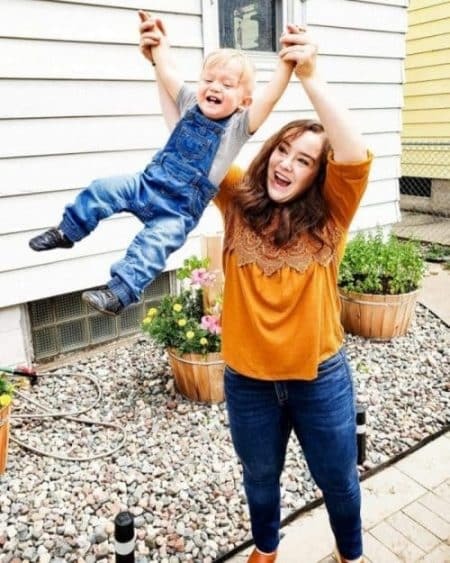 If you have further questions feel free to leave a comment below. I hope you enjoy this delicious appetizer! No Cooking! Just stack and go! P.S. Shout-out to my friend Cierra for giving me the inspiration for this! I am glad we both have a love of anything paired with cheese! I make a small commission for purchases made through the links on this page. The perfect fast and simple appetizer recipe. 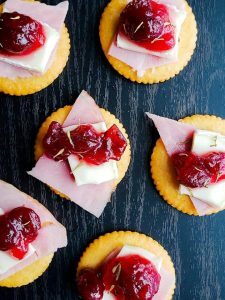 These Ritz Bites with Ham, Cranberries, and Brie require no cooking and are the perfect sweet and salty party and holiday food! Place a Ritz Cracker on a flat surface. Next place a small slice of ham on top, followed by a small slice of brie. Finally, top with a small amount of cranberry sauce then fresh thyme if desired. Repeat until finished. *If you do not want the rind on the brie, place it into the freezer for 30 minutes. Afterwards you will be able to easily remove the rind. What an easy recipe! I love how there’s not much to it, but still they’re a great way to make Ritz Crackers so fancy! Great for any holiday parties! Thanks! I love it for parties! This looks amazing! I love the idea of Ritz Bites! 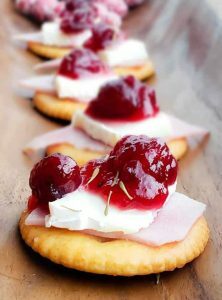 This would be the perfect snack to serve at my next party! Yes, so simple and yummy! These are perfect for Christmas parties! Ritz crackers are beyond useful at this time of year! Yes! I always have a couple boxes during the holidays! What an easy appetizer for unexpected company. Great flavors! 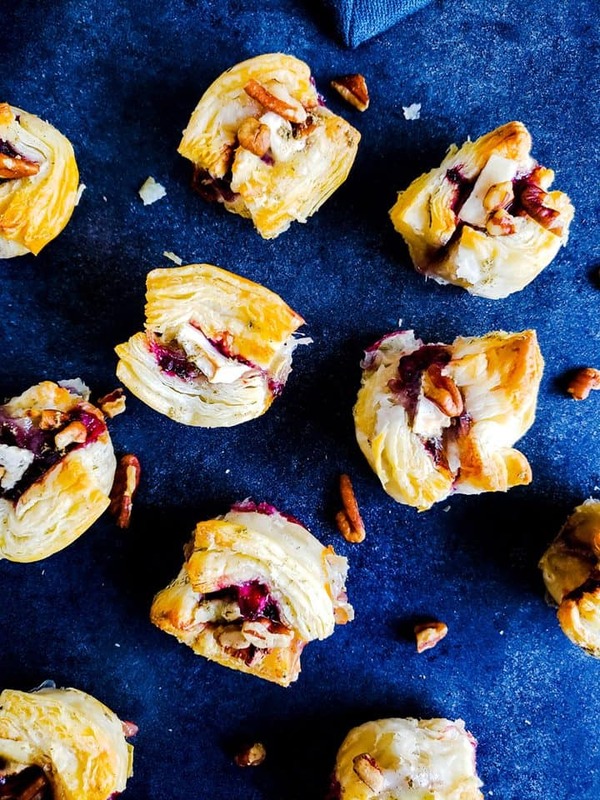 these are so festive and easy . 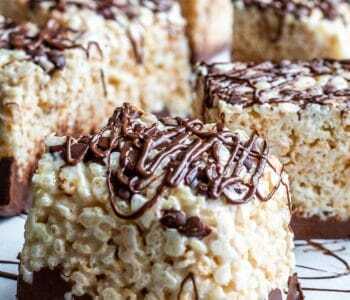 I can even let my son make these while I prepare of holiday dinner thank you! Yes! These are great for kids to help with! Hope you love them!